2015-2016 Dodge Challenger R/T 5.7 V8 Corsa Xtreme Cat-Back Exhaust5Chris PruchaApril 16, 2017This was the best price I could find on this kit anywhere and it was shipped to me VERY quickly. Perfect buying experience. As for the product itself? VERY EASY install on a 2015 Challenger RT. It is the perfect kit for this car and isn't too loud. Nice sound when you get the throttle hard but it but wont annoy your sensible side when cruising around town. No complaints at all!!!!! 2015-2016 Dodge Challenger R/T 5.7 V8 Corsa Xtreme Cat-Back Exhaust5Joe from Ponte Vedra FLFebruary 12, 2017I installed this system in my girlfriends 2016 Challenger R/T without using a lift in under 3 hours by myself. It was a perfect fit and very well made stainless system. 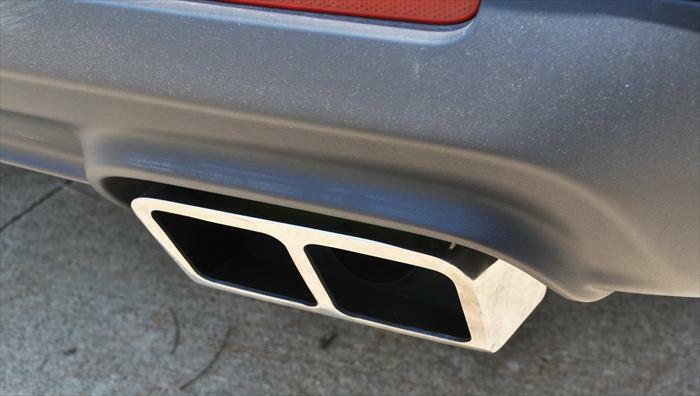 My lady was thrilled at the way the exhaust tips look and they way this exhaust sounds overall. Super quiet on the highway with no annoying drone, but step on the gas and we were smiling the whole time. The Challenger does feel faster too. It is more expensive than many cat back systems out there, but we are really happy with our choice. The part number for this Corsa Exhaust is: 14975 and it fits 2015-2016 Dodge Challenger R/T 5.7L V8 models. 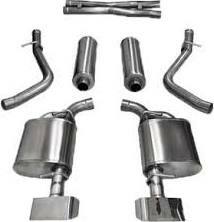 This Exhaust has a 2.5" diameter and GTX2 Polished tips.